Hello everybody, this is Thandar today to share with you something that I have never done for Quick Quotes. Its Art Journaling!! At this time, I would just like to fly through all sorts of powder puff inks to feature this art journal. 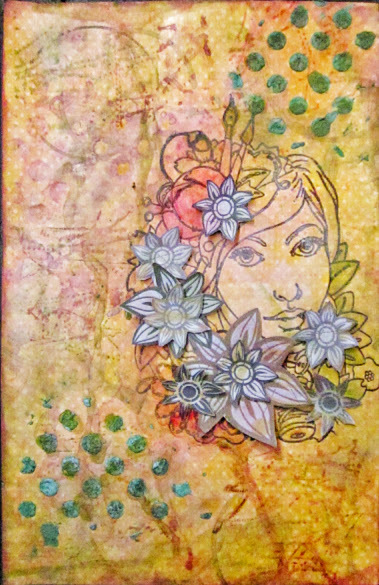 The floral sheet from Antique Garden was cream of the crop in embellishing this journal page. I primed the page with some gesso and heat emboss the image of this girl before I started coloring. 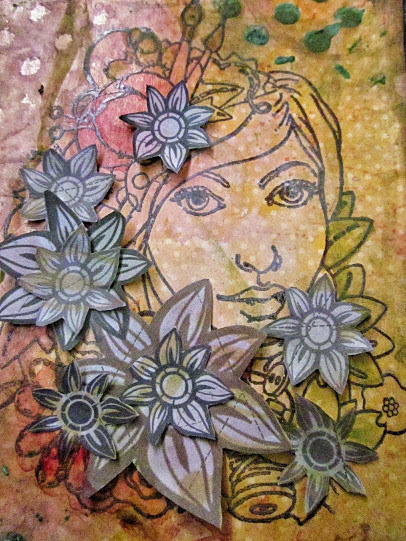 I then sealed up the image with a coat of Mod Podge after I went to town with all these inks and mediums. I hope you enjoy this page as much as I enjoy creating the page.